Energy conservation doesn’t just help the planet. It also saves money, which is why it’s surprising more people don’t do it. The obstacle may lay in the fact that many might not realize how easy it is to become more energy efficient. Many more are unaware of the impact they can make on the environment if they employed some simple conservation tips. If each person on this planet followed just one tip to save energy, Earth would be a cleaner place. For the past few years, we’ve been hearing of energy conservation more and more. However, the term has nearly lost its meaning among the lifestyle habit commercials and the ads marketing products. Many don’t even have anything to do with actual energy conservation. Let’s look at the basic principles of conservation to learn more about legitimate energy conservation techniques. Energy conservation does not deal with stretching limited resources to last longer. That would mean that our generation simply prolongs the crisis – maybe postponing it until it becomes the problem of the next generation. Meanwhile, there’s also the possibility of running out of energy resources all together. Conservation is the concept of drastically reducing demand on a limited supply in such a way that the supply has room to start regenerating. Many times, applying this concept means replacing the energy we use with an alternative one. The ultimate goal of energy conservation techniques is to cut down demand, preserve and refresh supplies, use alternative energy sources, and fix the damage from the prior energy abuse. We power our computers, televisions, air conditioner units, take showers, and run our washing machines every day. The home energy usage adds up rather fast, especially if you’re not minding your day-to-day habits. Electronics are some of the worst energy-wasters, both appliances and gadgets. They waste a lot of energy even when you’re not actively using them. For example, your microwave consumes power even when it’s not warming up your food, thanks to the digital clock that keeps running. Here are some tips to reduce your energy usage in the home. Lighting consumes a lot of energy – it makes up around 10 percent of overall home energy costs. To save up to 75 percent of that energy, simply replace the traditional incandescent bulbs with compact fluorescent bulbs (also known as CFLs). 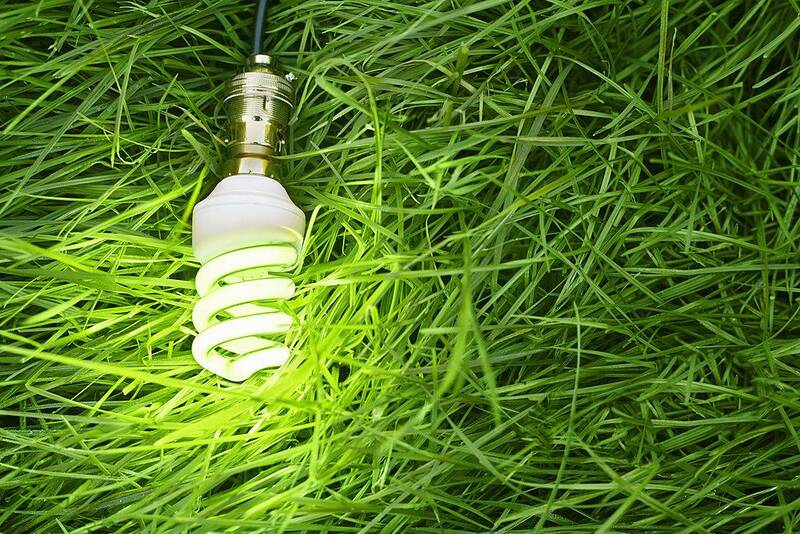 In addition to the energy conservation benefits, they also last 12 times longer than your old bulbs. CFL bulbs do cost more upfront but they pay for themselves in time. Thanks to their prolonged lifecycle, they save you money on replacements. You can reap big energy savings by slightly dropping the room temperature. A room chillier by only a degree or two can result in significantly lower energy consumption. Set your thermostat as high as possible during summertime. Running your AC unit at 78°F instead of 72°F can save up to 18 percent on the energy bill. The rule of thumb with cooling and heating is to keep the difference between indoor and outdoor temperatures as small as possible. The higher the difference, the more energy it takes to maintain room temperature. Invest in a programmable thermostat to control your indoor temperature with less hassle. Are you planning to replace your old electrical appliances? Invest in one that features the Energy Star logo. Energy-efficient appliances rated by Energy Star consume less energy and thus save you money. They might come with a higher initial cost, but they are much more of an investment in the long term. Energy Star reviews refrigerators, microwaves, washing machines, dishwashers, and many other kinds of appliances. Well-planned landscaping has more to do with energy conservation than with aesthetics. Yes, planting trees around the house will improve the look of the property, but it can also save you money. According to estimates, you could save $100 to $250 each year. Shady landscaping around your home protects it from scorching heat during summer and freezing winds during winter. Trees can help keep your home cool during the hot season, contributing to your heating and cooling savings. We cannot stress enough the importance of proper insulation. Air leaks could be costing you a pretty penny without you even knowing. During winter, your house may be escaping heat if it lacks a proper insulation. On average, households waste around 20 percent of their heated and cooled air. Missing insulation or a fissured duct system could be responsible. To save energy, call a professional to inspect your ducts and advise you on proper insulation for your home. You could also fix air leaks yourself if you know where they occur and how to do it. While conserving energy in the home is crucial, we have responsibilities beyond our house’s walls. You can also save energy when it comes to transportation. Make a habit of driving less – only when necessary – and walking more instead. It doesn’t put avoidable strain on the environment and it helps you exercise. If walking is not an option for the area you live in, consider carpooling. Not only will you reduce your carbon footprint, but it will also help you save money on your monthly gas bill. But what about energy conservation in the workplace? Educating employees and engaging them in green initiatives could go a long way. Teaching them about the importance of energy efficiency and carbon reduction is one of the most powerful conservation techniques you can use. Education also shows workers that there are alternatives when it comes to energy sources. Last but not least, try to invest in alternative power. Some energy providers in the U.S. offer their customers alternative power and fuel sources. Upgrade your company’s existing processes to more energy efficient models, whether it’s solar or wind-sourced energy. If you have the possibilities, look into installing solar panels on your building (or home), going off the grid and using your own source to provide energy.